Here's just a small sampling of the projects we have made. As a wedding gift. 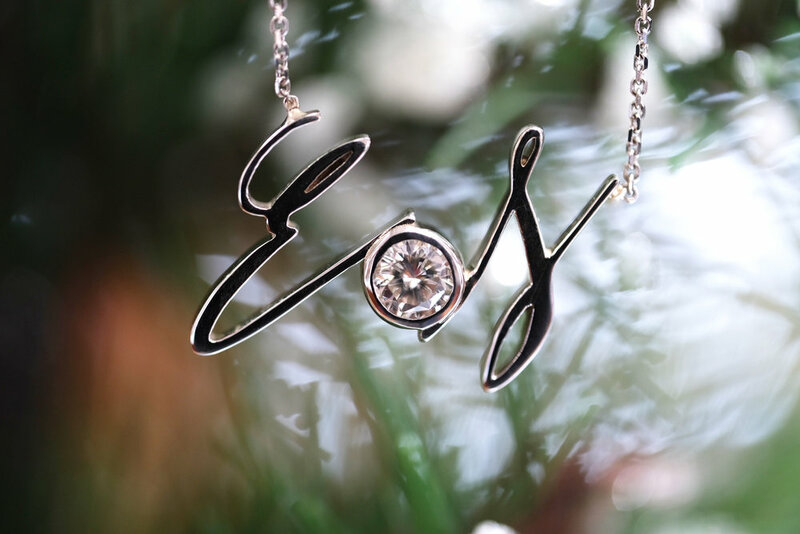 These initials were scanned from the invitation and we added a diamond accent to make a truly unique gift for the bride to be. This is a ring that I was given complete design liberty on. I was just told they wanted a 2 1/2 carat center and some black diamonds on the ring sides. Customer loved the sketches and the renderings and the final ring came out amazing. Engagement ring was brought in for a custom fit wrap to be made for it, it is an eternity wrap to match the eternity shank on the engagement ring. The mens band was chosen from one of our sample inventory but was made in 14k rose with black diamonds instead of the white gold one we had in store - any metal choice and stone combination is possible. Our customer had 3 rings that had sentimental meaning but were not getting used. One was her original engagement/wedding set, one was a cluster ring received as a gift and the other was a vintage band that belonged to her grandmother. 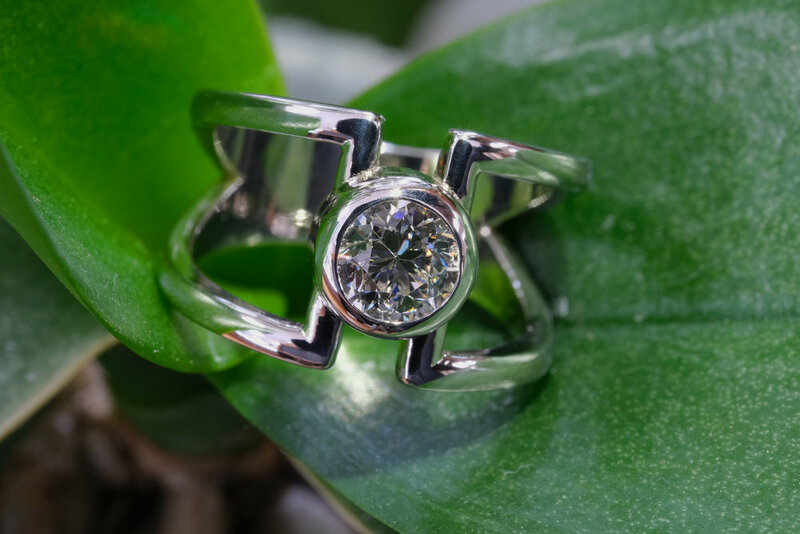 We provided the design and skilled labor to put this ring together. We used the gold and diamonds she already had. We made a basic double row anniversary band out of a diamond cocktail/cluster ring that was inherited. We used our customers gold and diamonds and supplied our talent to do the rest.